The White Stripe 'Parisian' Tuxedo Coat by Jean Yves is a beautiful and eye-catching alternative to Traditional Black Tie. 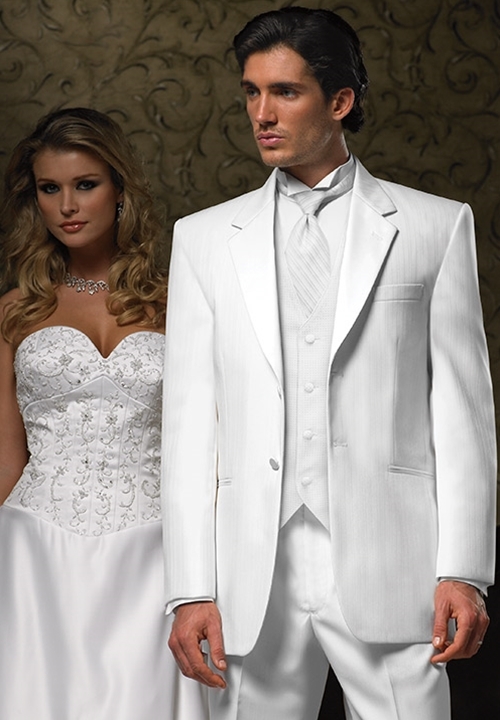 Featuring a 2 button single-breasted front, satin notch lapels, a self top collar, and fashioned from a White Striped Polyester Material. This coat looks great, feels great, and breaks away from traditional black in a very classy way.